As a diehard concert fan, getting your tickets is the easy part. Fine tuning the lineup of your outfits, now that’s where it gets tricky. Don’t stress, here are our must-haves for any concert so you can sit back, relax and enjoy the show. 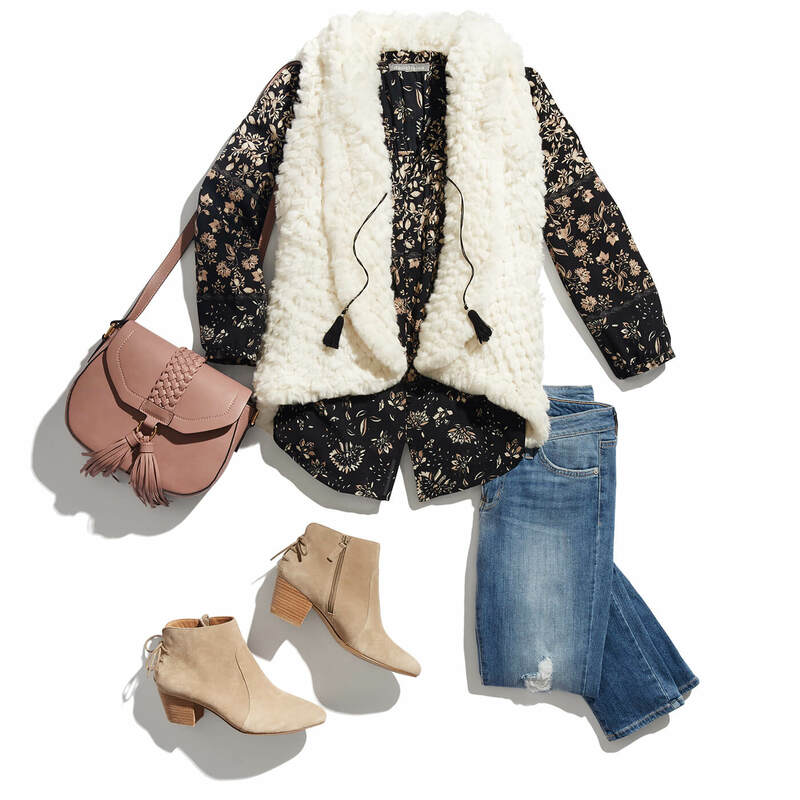 Whether you’re dancing to Beyoncé or rocking out to your favorite band, there’s an outfit for every genre! Leather pants, thick eyeliner, sky-high heels—and that’s just the band. Rock concerts are the perfect place to take your everyday style from classic to on the edge of your seat. Distressed denim was made for rock n’ roll, or maybe the other way around. You’ll be able to jam out to your favorite anthem without feeling too restricted to play your air guitar. Pair them with ankle booties and your favorite band tee, or just your favorite T-shirt. Bring the element of tough-girl to your look with studded accessories and zippers details on your clothing. A well-placed stud on a clutch or a leather jacket is the perfect homage to your favorite rockstar. Nothing says rocker chic like a moto jacket. Whether it’s faux or faux-real, layer up with this edgy staple before you head out the door. 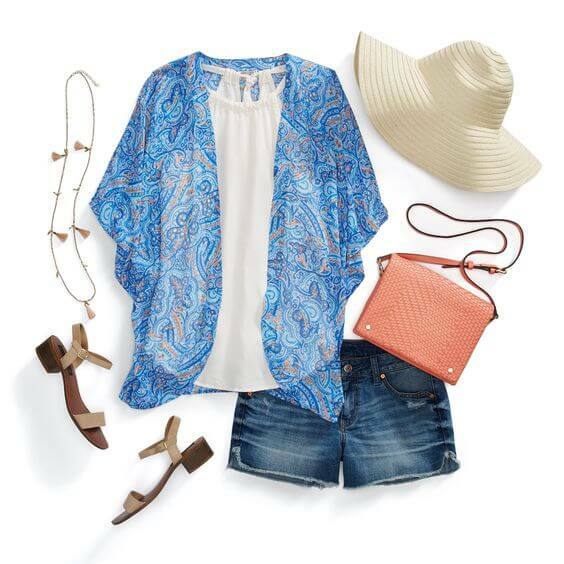 Music festivals and summer go hand in hand, so strategically styling your outfit for some sunshine will help make a good time even better. Whether you’re into EDM, hip-hop, indie or all of the above—get ready to dance the day and night away. For festival wear, go for lightweight fabrics like cotton or rayon for the ultimate breathability (and minimum sweat-ability). 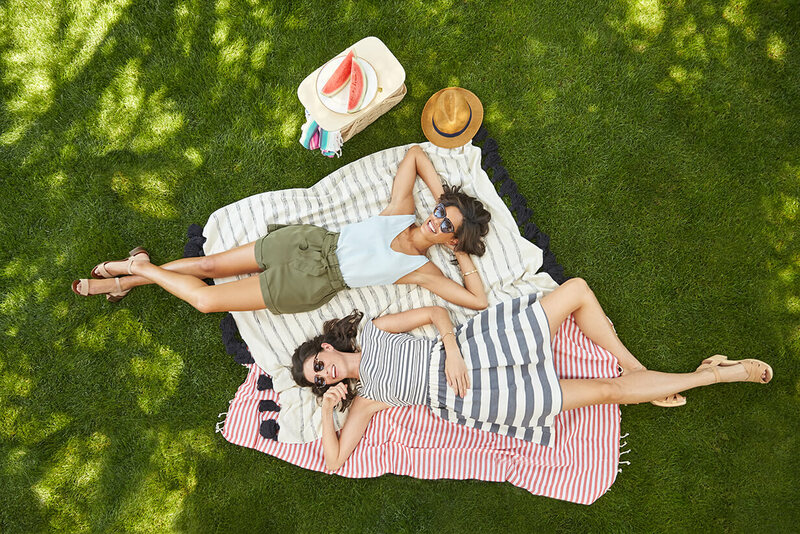 With festival locations ranging from the desert to the mountains, dressing to suit the sunshine will help keep you cute without overheating. Whether you’ll be showing off your shuffle skills or two-stepping to your favorite tunes, you can expect to be on your feet for the majority of the event. Leave your heels at home and take this opportunity to flaunt a pretty pedi in lace-up sandals or add a splash of athleisure with a pair of fashion sneakers. Keeping your essentials safeguarded during a festival is a task in itself. You can make things easier by carrying along a classic crossbody or a trending mini-backpack for a hands-free approach. Stylist Tip: Don’t forget to shield yourself from the sun! Bring a wide-brimmed hat along and plenty of sunscreen. Country music is all about love, friends, parties and memories—so you know you’re in for a good time. Keep your look focused on simple, comfortable fashion that can get you through a night of dancing and reminiscing about the good ol’ days. Nothing says cowgirl like a pair of distressed jeans, but in hot weather, they aren’t always practical. Incorporate this fabric in other ways by wearing cut-off shorts or a denim jacket over a dress. Whether you choose a long maxi or short shift dress, the key is flowy fabrics that let you square dance to the music with ease. Tune into the season’s biggest trend—off the shoulder, and try one on for size. Not wanting to go full on gingham and straw? 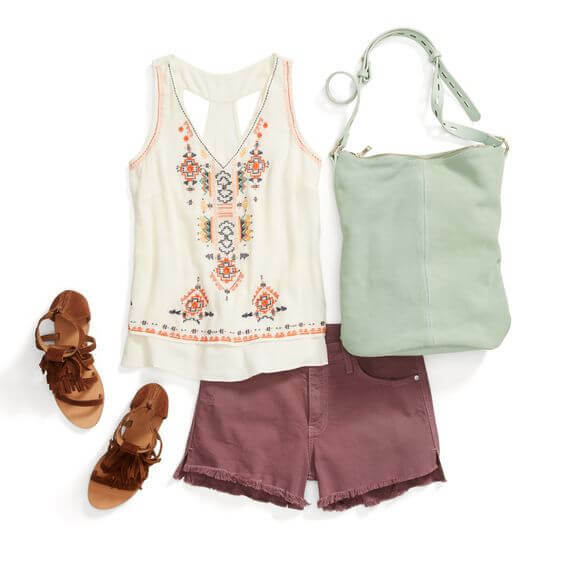 Go a little boho instead with looser silhouettes and whimsical prints. Tie-necks and tassel accents eliminate the needs for bold accessories too! With the music popping, endless dancing and glamorous outfits all around, you’re going to want to look and feel fierce! Dress up in an outfit that turns heads that can stand the test of time while shaking your groove thing all night long. Find a top that steals the show! Try out an off-the-shoulder top if you’re looking to show off a little skin but if you’re not ready to bare it all, spaghetti straps are chic and a great way to show off your summer tan. You’re going to be on your feet singing along for most of the concert (who could resist?). Shoes that you can wear throughout the entire night are a must. Stacked heels are where comfort meets fashion. If you’re wearing jeans, add a cuff to show your shoes off! Your jewelry should be glam just like your outfit! Start with a long necklace and add multiple layers for a little extra bling in your ensemble. Stylist Tip: If you’ve been toying with trying out a bold lip, tonight’s the night! Bring out a lip hue in red or deep pink to stand out from the crowd. Ready to get your perfect concert outfit? Schedule a Fix today & tell your Stylist who you’re seeing!